So if you read my blog you will know that I LOVE Pinterest, I love the ideas I have been finding there for my future kids but most have been for toddlers not as many for babies. 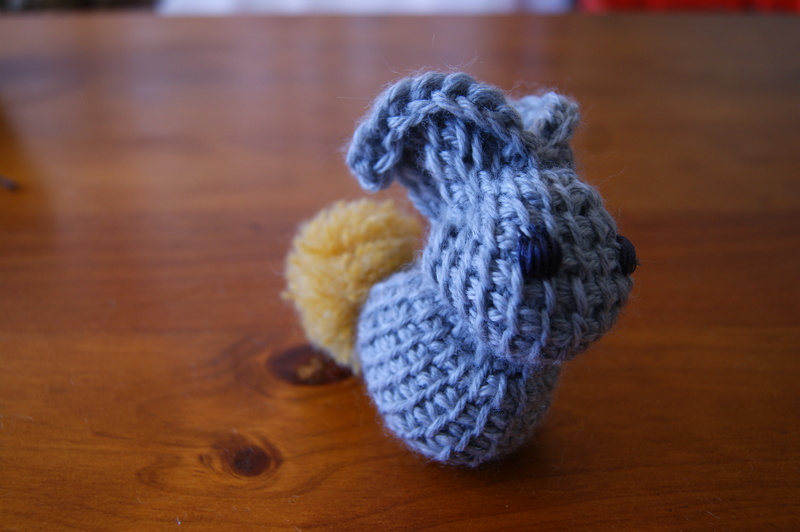 Except this one: Knitted Bunny. 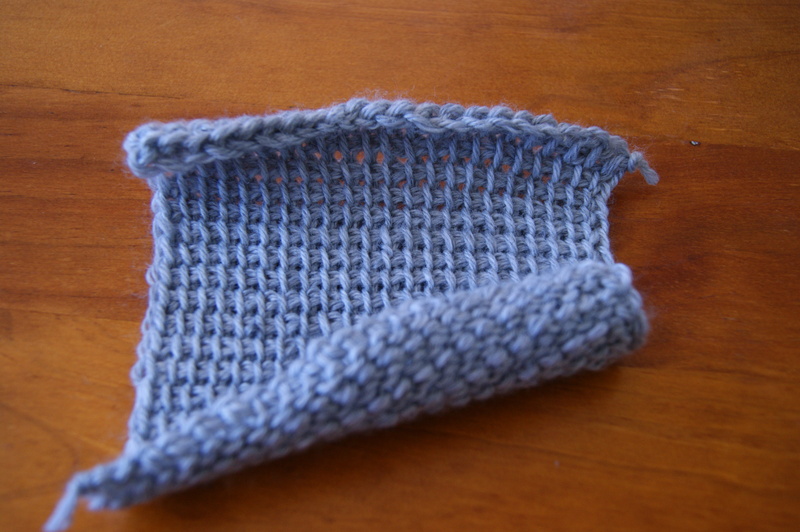 Basically you knit a square (I don’t really knit so I crocheted it instead), because of the stitch I do, it keeps curling. 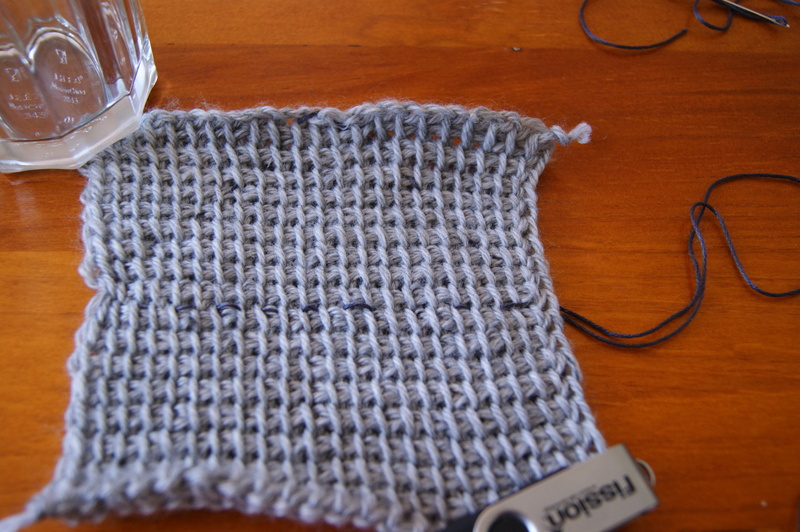 Then stitch a triangle into the square and pull the end threads together so they gather. I used cotton wool to stuff the head. Sew the other seams together and stuff the body. 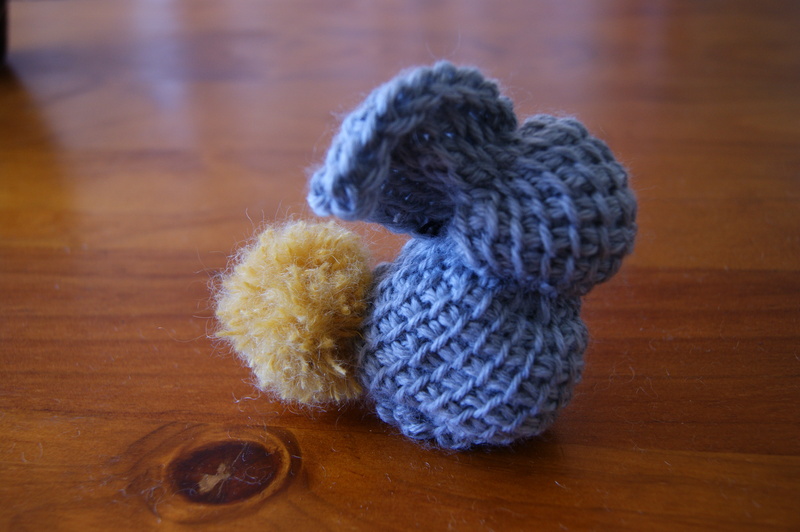 I then made a pom-pom for a tail. 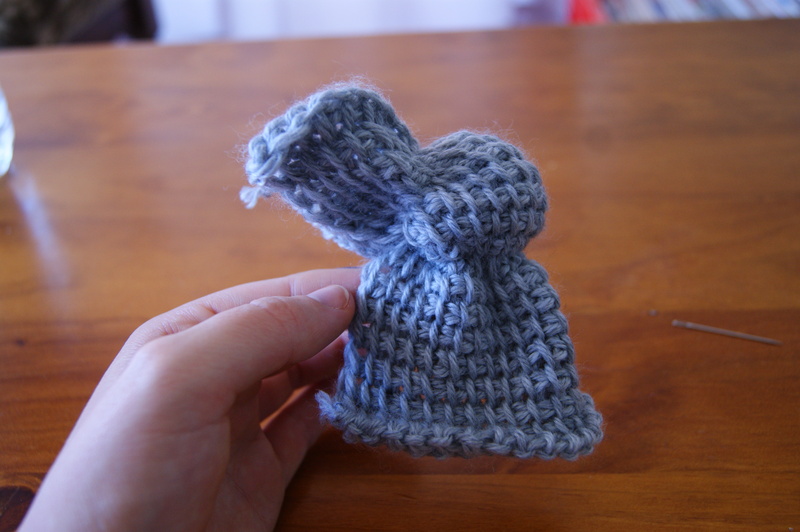 Take a piece of card and cut 2 circles with a centre hole in each (I forgot the second one when making my pom-pom). 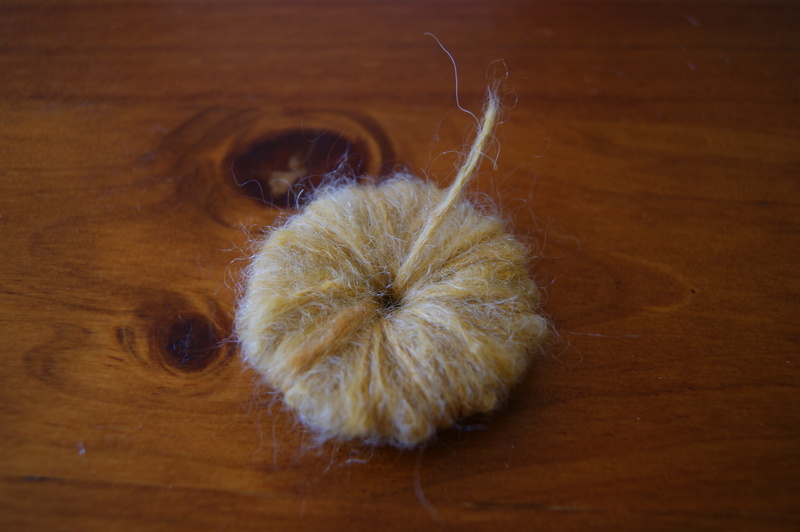 Cover the whole circle with wool, looping the wool through the centre whole, going round until all the card is covered. 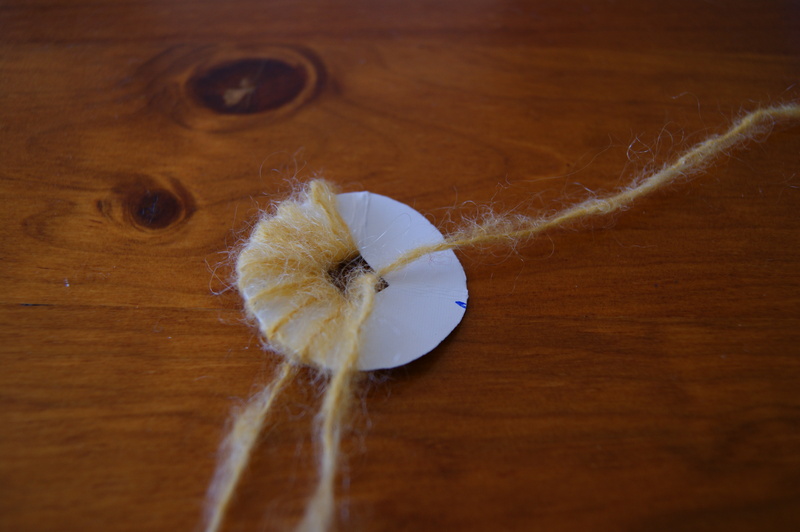 Cut up the outer edge of the wool and tie a piece of thread round the centre, then pull the card out. 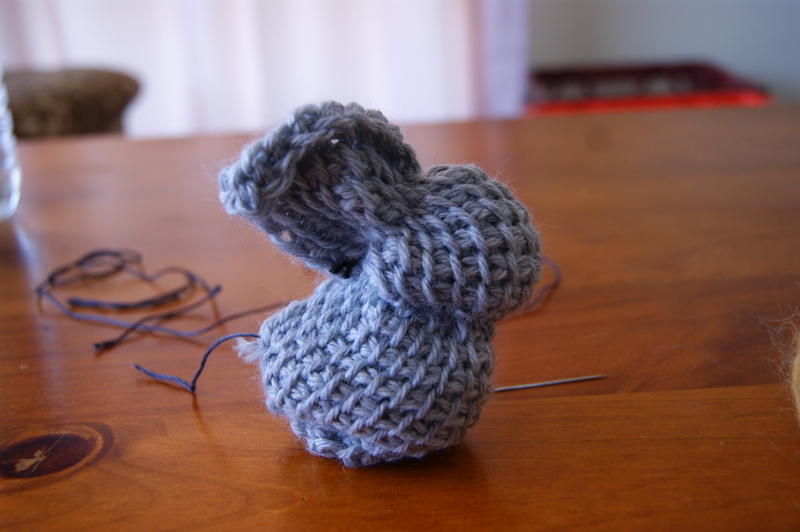 Projects – or maybe it’s called Nesting? 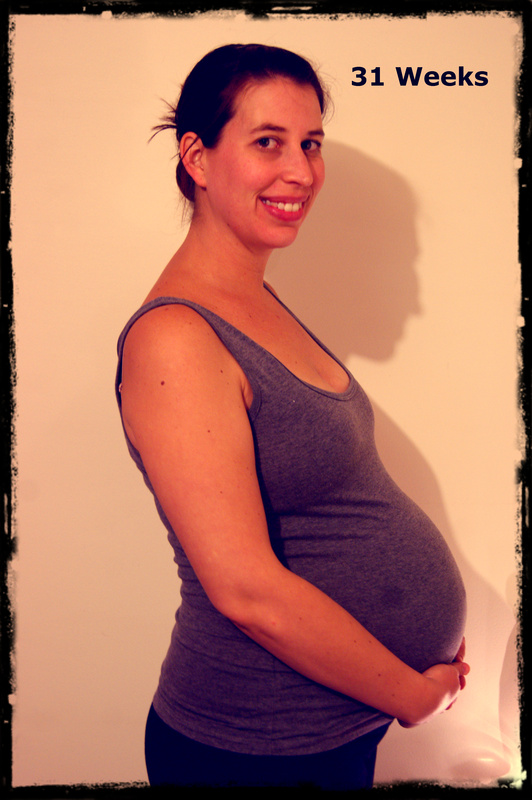 I love my husband… He has been so great to me throughout our relationship and even more now throughout my pregnancy! He is so supportive and lets me do/does whatever whim and wish I suddenly am inspired with, in fact I think that’s probably why he hates Pinterest so much! 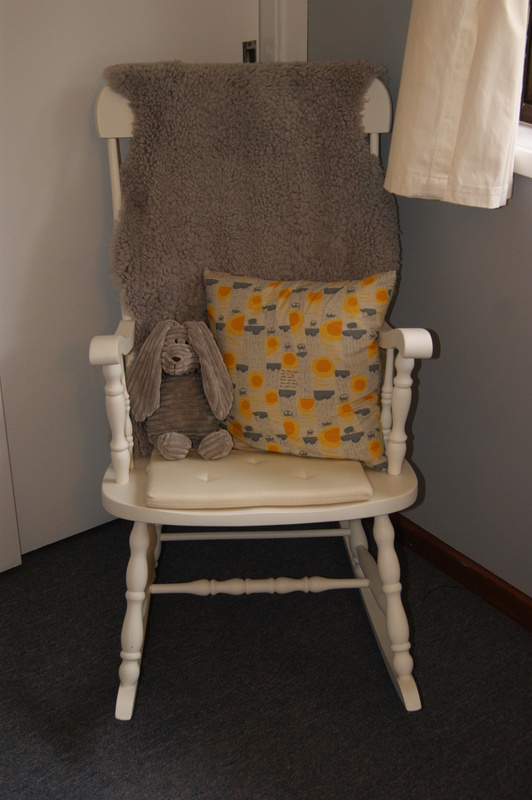 So when we wanted to redecorate our nursery he was so fantastic and even found me my favourite item for the nursery and refurbished it to fit with our theme (he knows me so well)! 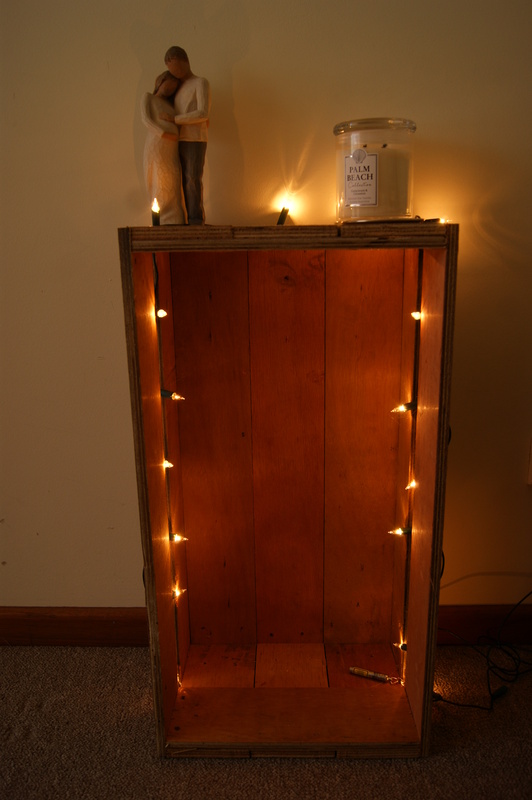 I also wanted some new side tables for our lounge and my darling Sean made me some out of pallets for me, such a talented young man! One of Sean’s loves is listening to old school records so of course we finally had to purchase a record player and some records of course. 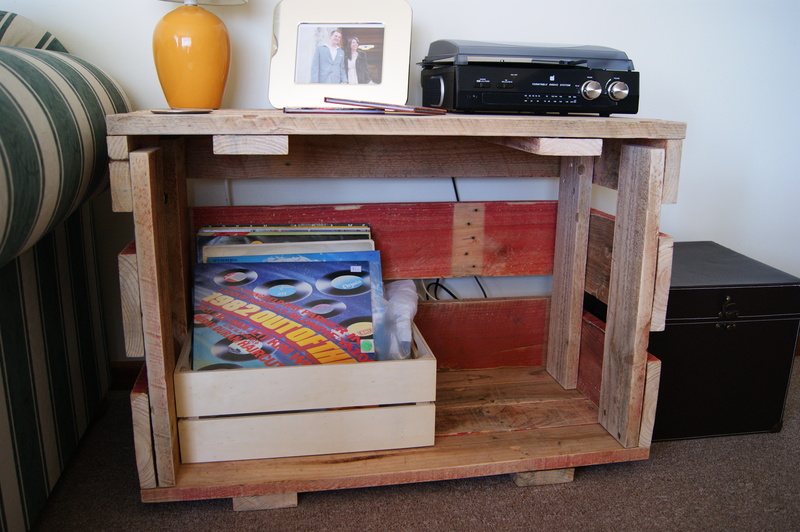 But there was nowhere to put it so he took an old pallett and made us this beautiful crate to use for our records! 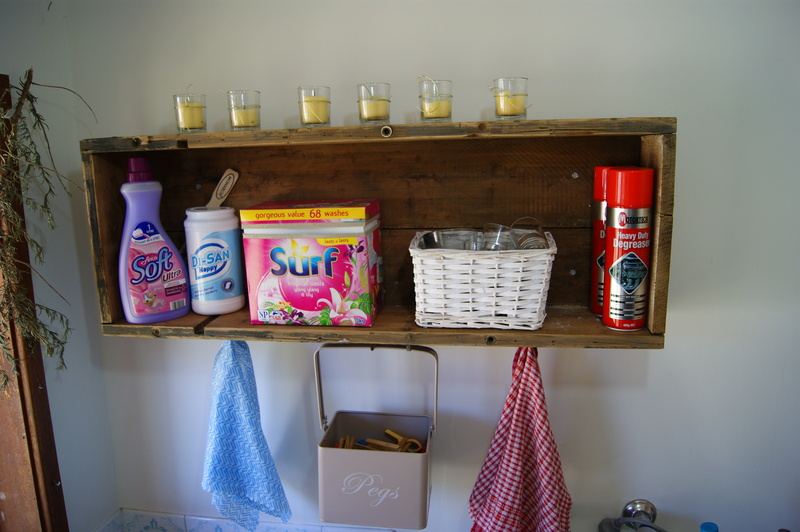 Then there are the little treasures we keep picking up, like this old ammo box (sorry no before picture) which I turned into a laundry shelf and my dear husband took the time to put up for me. Well, it has been way to long since my last post… But I am back for now. 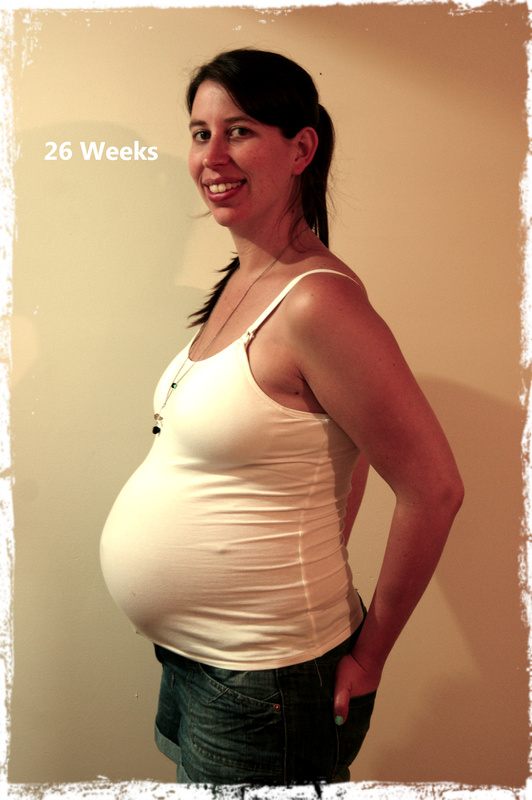 I cannot believe how quickly our pregnancy is going… We are hitting 32 weeks on Saturday, that leave us with 8 weeks to go till we meet our little monkey! It is amazing how quickly everything goes by, we were even in our first Antenatal class last night, which was pretty scary to say the least! Sean really liked it though cause he hasn’t had much of a chance to do any research or get any information on what happens in the birth or what he should be doing, but of course it’s not his body that has to go through it so for me it was little bit more scary. BUT that’s ok, the end reward is going to be amazing and I know that! Gratefully, I only have a few more weeks of work left so I am looking forward to finishing all my little projects and the last remaining things on my to-do list and then put my feet up and rest! 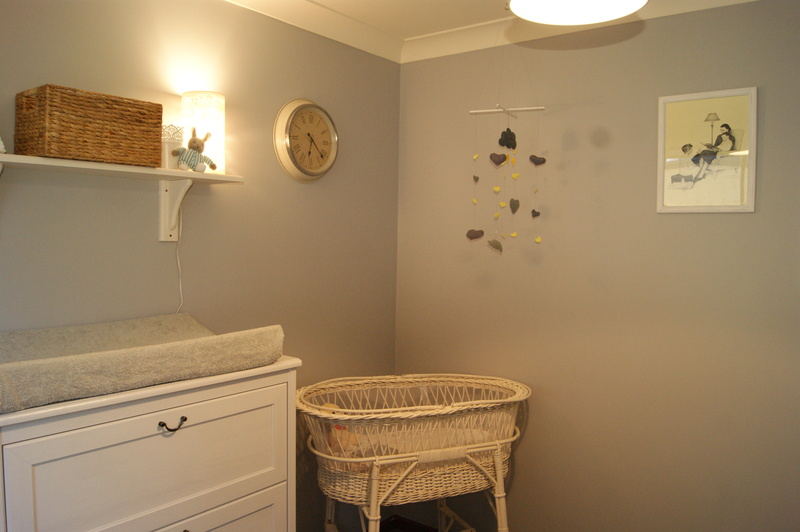 I am starting maternity leave a little earlier than I hoped but it has worked in our best interest as it is extremely hot down here at the moment which I have really been struggling with and since my job can sometimes be quite physical I am quite tired too. I have my baby shower in a few weeks and am so excited to celebrate our little one with family and friends, of course it is a bit harder not having my own family and all my SA friends with me. However I am grateful for all the wonderful friends I have made down here so far and to Sean’s amazing family who have been so loving and welcoming to me. Without them all I don’t think I would not be coping quite so well with all the changes we are going through at the moment. So a big THANK YOU to everyone around us and back home for the support, love and advice. You all mean a lot to Sean and I.